The blockchain revolution has made its way to the healthcare industry, and it’s only the beginning of what’s possible. Healthcare Rallies for Blockchain, a study from IBM, found that 16% of surveyed healthcare executives had solid plans to implement a commercial blockchain solution this year, while 56% expected to by 2020. Healthcare companies, tech innovators and the rest of the healthcare industry are grappling with what’s possible now and what blockchain could solve in the future. While blockchain principles were first applied in the financial world as the technology that allowed Bitcoin to operate, it has applications for many industries including healthcare. Blockchains are distributed systems that log transaction records on linked blocks and store them on an encrypted digital ledger. There is no one central administrator, but it has unprecedented security benefits because records are spread across a network of replicated databases that are always in sync. Users can only update the block they have access to, and those updates get replicated across the network. All entries are time and date stamped. What are potential uses of blockchains in healthcare? Although there are some incredibly exciting ways blockchains can enhance healthcare operations, it won’t be a cure-all for the industry today, but it would certainly be a step in the right direction. The healthcare industry is drowning in data—clinical trials, patient medical records, complex billing, medical research and more. Adoption and implementation of blockchains will be an evolution over time as blockchains applications are vetted and adopted as well as the industry coming together to determine collaboration and governance issues. As it always is with new technology, the full possibilities of what may transpire in the future is unknown at this time. However, as quoted in a Wired article, “Now is probably the right time in our history to take a fresh approach to data sharing in health care,” says John Halamka, chief information officer at Boston-based Beth Israel Deaconess Medical Center. MedRec, one prototype using blockchains, is intended to improve electronic medical records and allow patients’ records to be accessed securely by any provider who needs it solving the waste of time, money and duplication in procedures, confusion and sometimes even life-threatening issue of records being distributed across many different facilities and providers. The goal with MedRec is to give patients and their providers one-stop access to their entire medical history across all providers they have ever seen. Additionally, if patients wish to grant access to their personal medical records to researchers, their data would be provided anonymously to be used in research which could make medical breakthroughs possible faster than they are now. This pioneer in the field shows the potential for how dramatically things could change in healthcare by deploying blockchains. Not only could blockchains facilitate new drug development by making patient results more widely accessible (if the patients give their permission), it could help reduce the counterfeit drug implications that currently cost pharmaceutical companies an estimated $200 billion in losses annually. Between 2015-2016, 140 million patient records were breached according to Protenus Breach Barometer report. 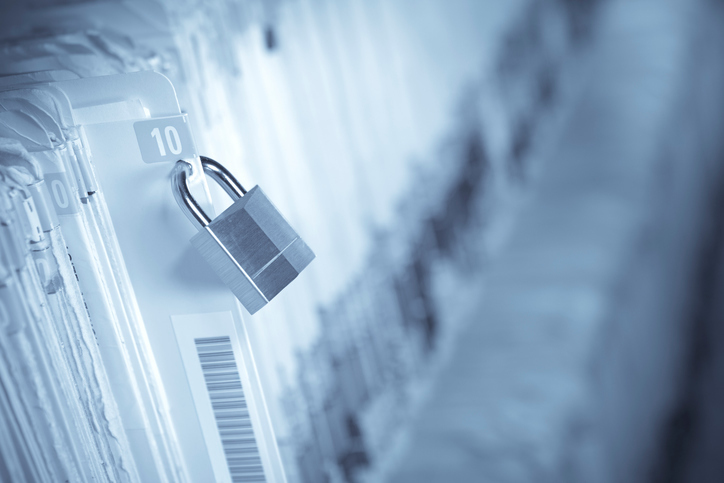 With the growth of connected devices and the Internet of Medical Things (IoMT), existing health IT architecture is struggling to keep systems secure. Blockchain solutions have the potential to be the infrastructure that is needed to keep health data private and secure while reaping the benefits of connected medical devices. Although blockchain technology is currently changing the healthcare industry, keep in mind this is a marathon, not a sprint. Healthcare organizations and entities are testing and vetting how blockchains can better support their operations while future applications will inevitably be discovered along the way. It will be a fascinating process to watch. I write books, deliver keynote presentations and provide expert advice on big data, analytics, metrics and improving business performance. I have helped many of the world’s leading companies and governments on how to answer their most critical business questions using data and metrics. My recent books include ‘Big Data in Practice’, 'Big Data', 'Key Business Analytics' and ‘Key Performance Indicators’.